Death Road is built for replay value. Everything is randomized: locations, events, survivor appearances and personalities. There’s a different story every time you play, set in a world that doesn’t take itself too seriously. – Up to 500 zombies can hunt you down at a time. Fight them, try to squirm past, or run. – Use the character creator to put yourself, friends, and family in the game. Have them show up and get eaten! – Find special and rare events, weapons, and characters with strange abilities. – Make tough choices in Interactive Fiction events. Get different options and results based on the traits of your party members. – Teach a dog how to drive a car. – Throw chairs. Get your characters strong enough to throw large sofas. – Most family friendly zombie apocalypse game on the market! Any gore explosion is in a cute style. We censor the word d*ngus once. – 2 player local same screen co-op where you control up to 4 characters! 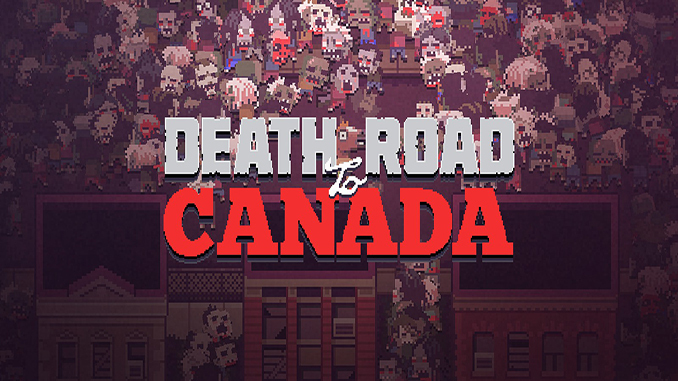 Death Road is built for replay value. Everything is randomized: locations, events, survivor appearances and personalities. Offtopic question: If we play pirated GOG games on our main account, will we risk getting banned? Do you guys mind if you update the download to feature the HUMERUS Update?